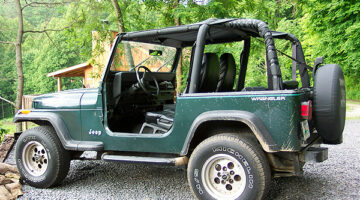 The first Jeep Wrangler appeared in 1986 when the Jeep CJ series was discontinued. 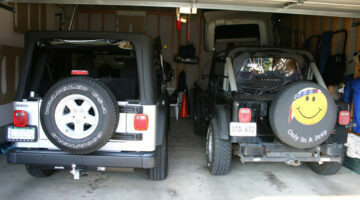 Jeep wrangler models include: JK, TJ, YJ, and CJ. If you're bringing home your first Jeep Wrangler, you're probably thinking... What now? Which Jeep accessories should I buy? What are the best Jeep products for a Wrangler? If it has to do with a Jeep Wrangler, you'll find it here -- our honest opinions and personal experiences with our own Jeep Wranglers! 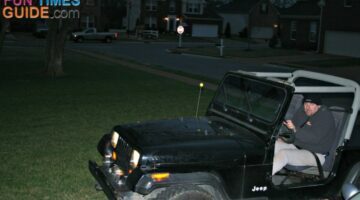 How do you clean vinyl Jeep windows? 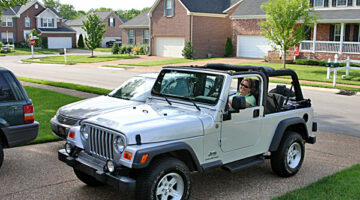 Which product should you use to clean your Jeep’s soft top windows? There are many to choose from, yet not all are safe for plastic windows, and some will even cause Jeep windows to fog, yellow or crack. Here are the top three commerical products on the market which were designed with the automotive industry in mind: Raggtopp, 303 Protectant, and Plexus. 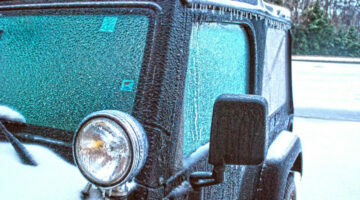 Here’s how to care for your plastic Jeep windows during the winter months. 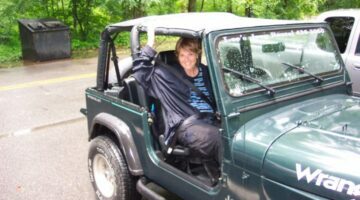 Specifically: how to remove snow and ice from plastic windows and vinyl windows — such as those on a Jeep Wrangler soft top and other cars with convertible tops. Got an afternoon (or a weekend) to kill? How about 70 bucks or so? 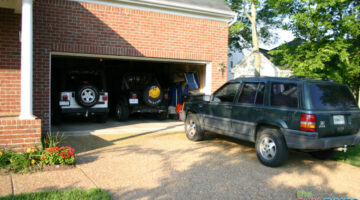 Then do like we did… be spontaneous, pack some snacks, maybe some camping gear, and rent a JEEP! We Sold Our (Other) Jeep! 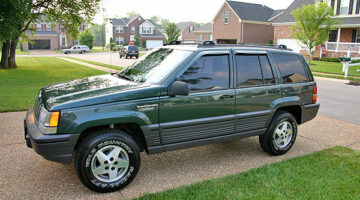 If anyone needs some tips for selling a used vehicle in the Nashville, Tennessee area, I guess you could just ask us. We ROCK at selling cars! …or more specifically: Jeeps. A photo essay detailing the step-by-step process of removing the hard top from a Jeep Wrangler on the first warm day of Spring. 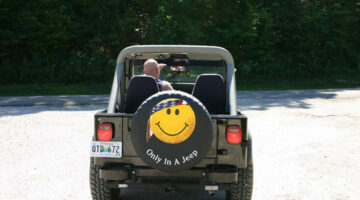 Plus, some great tips for how to do it yourself with a Jeep hard top hoist. Here are some excellent hair products for Jeep & convertible owners that will help to maintain your hairdo when your Jeep top is off.